This week’s Roundup of Mom’s Choice Award winners features tons of educational books for all ages! Be sure to scroll through the entire list so you don’t miss any of our new award-winners! All the items you see below won a Mom’s Choice Award during August 26, 2018 to September 1, 2018. 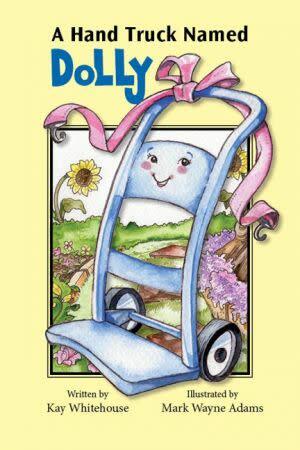 Meet Dolly, a sweet and dependable hand truck! Dolly has been adopted into the wonderful home she has dreamed of for so long. She helps with gardening and household projects and everyone loves. her. She is thrilled when she gets to go camping with her family in Key West, Fl. One night, after the family watches Pinocchio and then pigs out on s’mores, Dolly wishes on a star to be a real little girl. Will Dolly ever be able to accept herself as the easy-rolling hand truck she is? 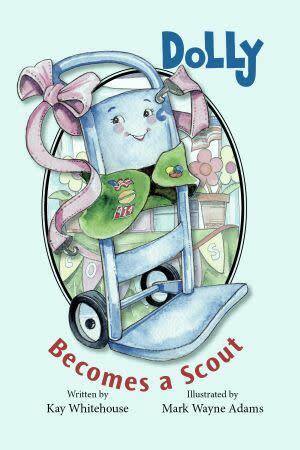 An intriguing series told from the perspective of a hand truck, “Dolly Becomes a Scout” will capture the interest and hearts of her readers, ages 5-11. She becomes entwined in all aspects of her family’s life and they begin to treat her like she’s one of the 3 kids, ages 3, 6 & 8. Dolly is strong, dependable and brave. Each book is laced with spelling words and word games and puzzles included in each book along with a brief discussion on topics in the books. The kid language and Dolly’s sense of humor is a big hit with children. Daisy, a young orphan in the USA during World War II, dreams about the most wonderful of all treasures, belonging to a family of her very own. But, no matter how hard she tries, Daisy is always passed over for adoption. And then one day… “Daisy’s Adventures” joyfully provide unique bonding experiences for children and their forever families. Each story has an upbeat positive happily-ever-after ending. We have a Ph.D. in Education with over 30 years of classroom experience evaluating every story to ensure that each adventure balances appropriate educational content with heartwarming plots. Read the stories together to encourage critical thinking and conversation. A young girl’s family situation sends her on a fanciful tale. With help from her friends, she is reunited with her parents and the healing begins. 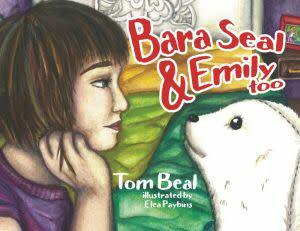 Beautifully illustrated children’s tale of survival, love and support. An intriguing series told from the perspective of a hand truck named Dolly. Dolly couldn’t believe her luck as she sat in the back seat of the little red convertible on the way to her new home. She had finally been adopted. And so began the most exciting adventure any gal could ask for. Dolly becomes entwined in all aspects of her family’s life and they treat her like she’s one of the 3 kids, ages 3, 6 & 8. She takes pride in being strong, dependable and brave. Each book in the series is laced with vocabulary words, word puzzles in the back with information on topics introduced in the book.. Dolly is about family values and being proud of who you are. I think my son would like Dolly, a Dog and a Camper. Always looking for new and interesting books. 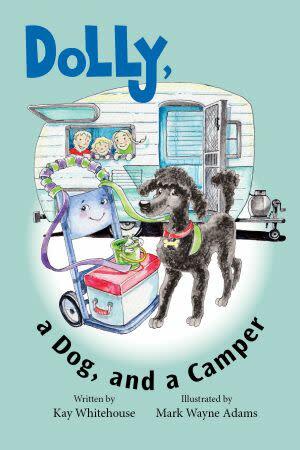 Dolly, a Dog, and a Camper sure sounds like a fun book !